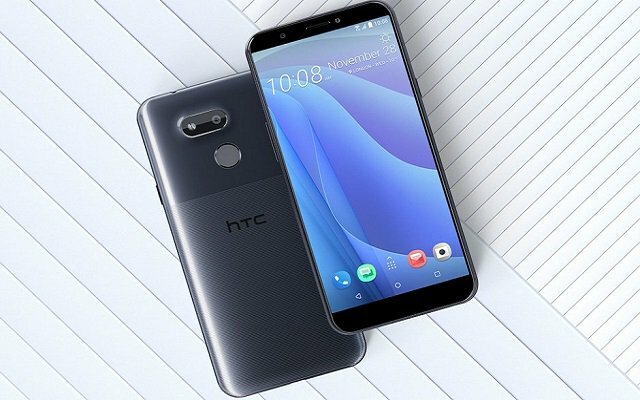 HTC has introduced a new smartphone within the Desire lineup. The novelty is called Desire 12S and, judging by the name, is an improved version of the model Desire 12. The HTC Desire 12S is built on a single-chip Qualcomm Snapdragon 435 ct eight-core CPU, with a basic performance of 3GB of RAM and 32GB of built-in flash memory. For an additional payment the manufacturer will offer an option with 4 GB of RAM and 64 GB of flash memory. The diagonal and screen resolution are 5.7 inches and 1440 × 720 pixels. The smartphone is equipped with ordinary single cameras, with the resolution of the main and frontal sensors equally – 13 Mp. The main used is phase autofocus and lens with aperture F / 2.2. There is no frontal autofocus, and the lens of the lens is slightly smaller-F / 2.4. The feature of the model is the presence of an NFC adapter: this is far from every flagship, because Desire 12S is, in essence, an entry-level model. It includes Wi-Fi adapters and Bluetooth 4.2, GPS receiver and GLONASS, LTE modem and fingerprint reader on the back panel. There is a standard headphone port and a microUSB connector for connecting to the charger and PC. Dimensions and weight of the HTC Desire 12S – 154.2 x 72.7 x 8.3 mm and 150 grams. The capacity of the storage battery was 3075 mAh. The smartphone will go on sale in early January and will be offered at a price of $ 195.